Whether it’s the two of you escaping for your special moment – or a grand affair, The Lakeview Chapel at Distinction Te Anau Hotel and Villas is the perfect wedding setting. 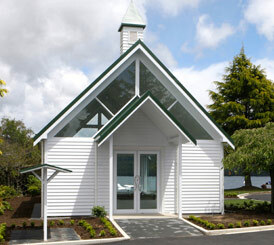 Surroundings of glass, picturesque views of Lake Te Anau and the Fiordland Ranges, the Lakeview Chapel is everything you dream of and more. Whether it is an afternoon wedding where you can see all of the chapel’s beauty in the sunlight, or an evening wedding trying to catch the breathtaking sunset in the background, there has never been a more romantic chapel exclusively set for weddings. Ceremonies at Distinction Te Anau Hotel and Villas are available in conjunction with receptions being held at Distinction Te Anau Hotel and Villas only. Our Distinction Ceremony Package takes care of all the details to make your ceremony perfect. This package can be added to one of our Distinction Wedding Reception Packages to create a complete wedding. To find out more contact our Events Coordinator.